Less time on an airplane, fewer nights in a hotel, more days at home -- who wouldn't be in favor of all that? National Hockey League players are no different than anyone else when it comes to the rigors of travel, so it's no surprise that the League's two-conference, four-division alignment plan that was approved by the Board of Governors on Thursday and will go into effect starting next season was met with positive reviews from many of the guys who will be most affected by the changes. "I like … a lot of things about it," Calgary Flames captain Jarome Iginla said. "It makes sense." Sense as in every team will play at least one game in every arena, so fans of the San Jose Sharks that are starving to see Sidney Crosby at HP Pavilion will get to see him every year. "I think that's probably the most important thing for me and the fans," Sharks defenseman Dan Boyle said. "The fans are going to get to see every team. I think that's what we needed. It's good." It's also good that the Detroit Red Wings and Columbus Blue Jackets, a pair of teams that play in the Eastern time zone, will now be playing in the 16-team Eastern Conference instead of traveling one, two and sometimes three time zones west to play the majority of their road games. "It's not the travel, it's the time changes that kill you," Red Wings coach Mike Babcock said. The Winnipeg Jets know all about that now, but the new alignment means they won't be traveling to Florida, Tampa Bay, Carolina and Washington to play the majority of their road games. Instead, the Jets, who play in the Central time zone, will be playing in the 14-team Western Conference and in a division with five other teams from the Central time zone (Minnesota Wild, Nashville Predators, Chicago Blackhawks, Dallas Stars and St. Louis Blues). The Colorado Avalanche are the only team in what is now being referred to as Division B that are not a Central time zone team. "We're seeing a few new teams in the division like Minnesota, Winnipeg," Blues captain David Backes said. "You're going to have some new rivalries there with teams like Dallas, too. It'll be good. It'll spark some new interest, get some new faces, some good young talent on those teams coming into our building, and a challenge we'll likely accept." The Stars happily accept their new challenge in Division B mainly because it means they no longer have to travel two time zones west to play their divisional road games as they do now as members of the Pacific Division. "We lose probably seven to 10 practice dates a season in a full season because you're not arriving back in Dallas in many cases from the west until 4 a.m. or later, which means the next day is basically a loss," Stars president and CEO Jim Lites said. "People don't realize the geography; it's closer to Winnipeg from Dallas than it is from Dallas to Phoenix. It's less time in the air, and more importantly less hours lost to time zone changes will make a dramatic improvement to the experience of our players and our coaching staff. I think it makes you more competitive." However, some of the older rivalries, such as the ones that Red Wings have developed over the years with teams like the Avalanche, Blackhawks and Blues, will take on a lesser role with the new alignment. 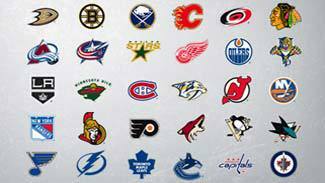 Then there is the unbalanced format with 16 teams in the Eastern Conference and 14 teams in the Western Conference -- a format NHL Commissioner Gary Bettman said is not a concern for the League. He cited that as a practical matter nothing changes if a team finishes seventh or eighth in its division and the addition of the wild-card system helps keep things in balance. The top three teams in each division will make the playoffs and the final two spots in each conference will be filled by the next two highest-placed finishers, based on regular-season points and regardless of division. "The right teams are still going to make the playoffs," Los Angeles Kings captain Dustin Brown said. "The lower teams might have a better chance in the West. That's the only difference. You move some teams around to different divisions and different conferences, you're still going to get the best 16 teams in the playoffs." In addition, Commissioner Bettman said travel across the League will go up "less than three percent," but that was unavoidable with the format of having every team play in every arena at least one time. And while it's not geographically ideal to have the Florida Panthers and Tampa Bay Lightning in the same division as the Red Wings, Boston Bruins, Montreal Canadiens, Ottawa Senators, Buffalo Sabres and Toronto Maple Leafs, Commissioner Bettman said the alternatives were worse. He added that business could be better for the Florida teams because of all the snowbirds in the state. "Realignment is always a difficult, emotional process," Commissioner Bettman said. "It's never perfect for every club, but you try to do the best good you can for the most number of clubs and their players, and that's what we think we were able to accomplish here. I believe that's what the Board of Governors believe was accomplished because this was overwhelmingly approved." And now plays to positive reviews from players, coaches and executives across the League. "I think the adaptation will happen quickly," Flames forward Mike Cammalleri said. "A year from now it'll be like it never was any different."